There are very few firms in the Intermountain Area who can claim to have worked on the number and variety of adoption cases that MacArthur, Heder & Metler has handled. Your adoption attorneys and paralegals are committed to bringing parents and children together in a compassionate, cost-effective, and legally solid manner. Courts, agencies, and attorneys throughout Utah and elsewhere trust our approach and expertise as we work together to address every kind of adoption issue, including contests adoptions, Indian child, and foreign adoptions. Private Placement: When a birth mother has selected a family, we will help guide them and the adoptive parents through the relationship, documentation, and qualification process, as well as the final court hearing. Agencies: Utah and other states utilize our attorneys and staff to help complete agency placement of children with adoptive parents. Our practice’s efficiency makes us a favorite partner in agency placements. We represent multiple agencies, but also are commonly asked to represent birth parents that are enrolled to place their child through different agencies. 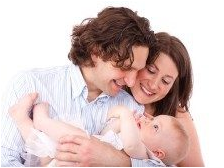 We take relinquishments of all kinds, as well as guide birth parent qualification. There are few moments more fulfilling for either the court or our firm than a finalization hearing to complete an adoption. Step-Parent: The number of step-parent adoptions has increased in recent years. While some different rules apply, when a step-parent is ready to accept that special role in a child’s life, we help ensure that biological parents’ rights are properly terminated and the correct orders protect that new parent-child relationship. Because of our reputation, we are asked more frequently to assist in adoptions facilitated by state agencies. All good foster parents give a special gift to society by sharing their home and hearts so that children can be placed in their care. When they choose to make a selfless commitment to give a child the chance at a real, permanent home and family, we are here to guide them all the way to the final decree.